If you're looking for a practical way to keep your cosmetics, travel accessories and personal effects in one bag and easy to find them when use.
" 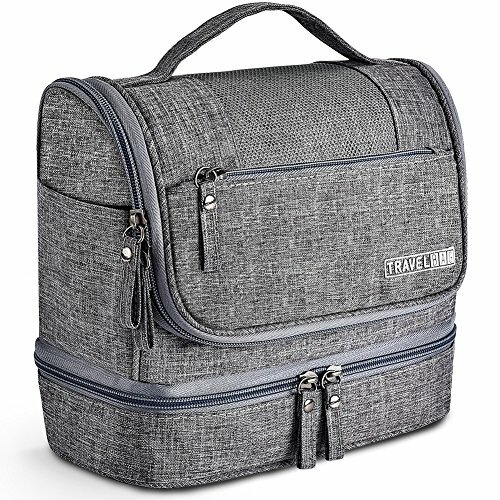 ☞ Dear, you're lucky to meet us.TIME TO USE OUR SMART travel bags for toiletries, you really can't miss such crazy mens toiletry travel bag, we can guaranree our travel kit is the best one on amazon compared with similar products." Features one main compartment, several mesh pockets, a extra front pocket and a big dry and wet separation bag, easily organizing all your personal belongs well, it also can be folded flat to save space when not use. NO Scratches, NO Spills and NO Bumps, Made with Waterproof and durable polyester fabric and soft padding, provide all-around protection to your toiletries and other essentials from shocking. If you have any questions about this product by NICEPACK, contact us by completing and submitting the form below. If you are looking for a specif part number, please include it with your message.